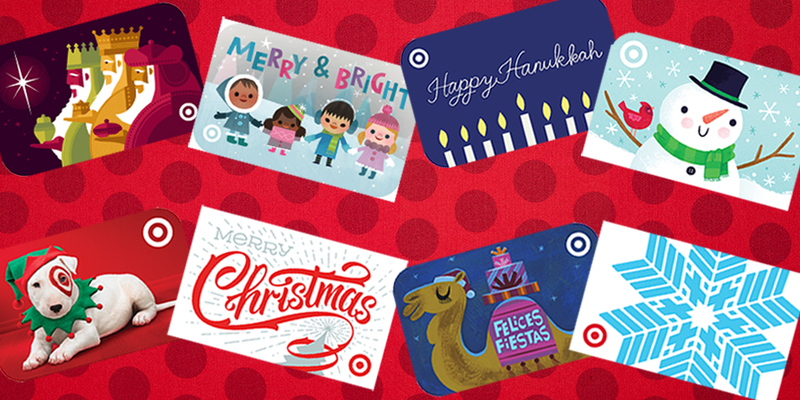 Today (Sunday, December 3) you can buy Target gift cards for 10% off. This is the only day of the year that Target discounts its gift cards. You can buy up to $300 in gift cards at this discounted price, which will save you up to $30. If your budget allows, I would buy the full $300 in gift cards and use them for your own Target shopping the coming weeks and months. Gift cards don’t expire, so this is an easy way to save money on things you would be buying at Target anyway – like groceries, home products, electronics, etc. You can get this discount online or in stores. Note that you will not get an additional 5% off if you buy the cards with your Target REDcard, as Target gift cards are excluded from the 5% REDcard discount. Also, target gift cards can’t be used the same day they are purchased. They will be valid starting 12/4/17. This offer does excludes Target Visa Gift Cards, Target MasterCard Gift Cards, Target American Express Gift Cards and gift cards issued by other retailers, and reloads of previously purchased gift cards. Today through 12/9, get up to 30% off all furniture at Target. We have had great success buying furniture from Target. We just bought a new tv stand there yesterday, and our previous one was from there and we had it 13 years! We also have bought a variety of chairs, shelves and end tables there. Women’s hosiery and tights are on sale for 20% off. If you haven’t checked out my list of 5 favorite family games that you might not know, read it and get a few of the games on the list. Many are available exclusively at Target. Next article: HOT SALE: Magazine Subscriptions Starting at 99 Cents!